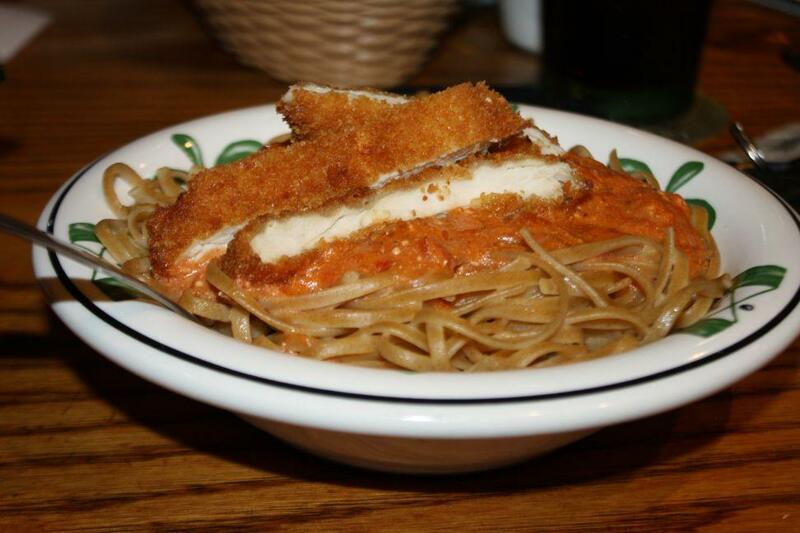 Something about the unnatural orange goo of 5 Cheese Marinara, combined with the crusty breading of Chicken Fritta, along with the tough wholesomeness of the Whole Wheat Linguini really brings to mind the heatstroke-filled days of the summertime fair. Pictured here is A Day At The Fair. Can't you smell the corndogs?! Warning: if you actually do smell corn dogs, and are not currently reading this blog form an actual fair, this may be an early symptom of schizophrenia. Please, seek help.